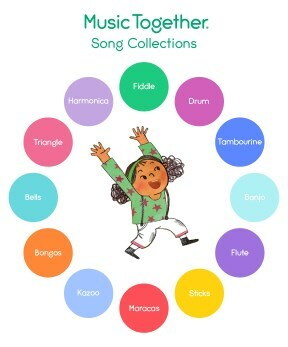 Each semester, families receive a CD, a code to download the songs to your favorite device and an illustrated songbook full of music-making ideas. In addition, families new to the program receive a parent guide booklet, "Music Together at Home: Helping Your Child Grow Musically." Click HERE to learn about the different class types we offer. “All Around the Kitchen” ©1991, "Hello Song” ©1987, "Hey Diddle Diddle” ©1999, and "May All Children” ©1986, 2002.